You will need inspect Macintosh. Not use Windows, Not use Ubintu. 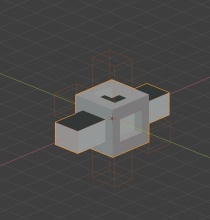 I put 3 cube with width then put other cube. Push the 'N' key appear and click Tool tab. Then click (Remove All) cause crash. Blender 2.6xx is much better perfect. Philipp Oeser (lichtwerk) triaged this task as Needs Information from User priority. Seems to be about Bool Tool Addon. This has just been ported to 2.8 rBA0b4cfab541e3, are you sure you are using this? if yes, what is the error you are getting [when using the Difference button]? I already download daily build. Blender 2.80 is January 18, 2019. Are you use focus Macintosh not Windows? have you tested Windows & Ubuntu and the error/crash does not happen there? what is the error you are getting [when using the Difference button]? Oh well please transfer to focus Macintosh. I am use Macintosh only. Well, thats fine, but to progress with this report you should answer the remaining questions. I am wait for some one use Mac inspect. Even though they are all set to Difference, the boolean result is wrong because of the issue with coplanar faces being generated in the center. This is a known issue with the Bmesh booleans. Anyway, re your original issue, be sure to run the latest version of the 2.8 beta and the latest version of the addon. I always download daily build latest version 2.80. (I am not sure remember 2.6x to about 2.73 something like that perfect boolean never problem. Did you click (Remove all) button on Boolean yet? I am use MacOS 10.14.2 within dark mode. 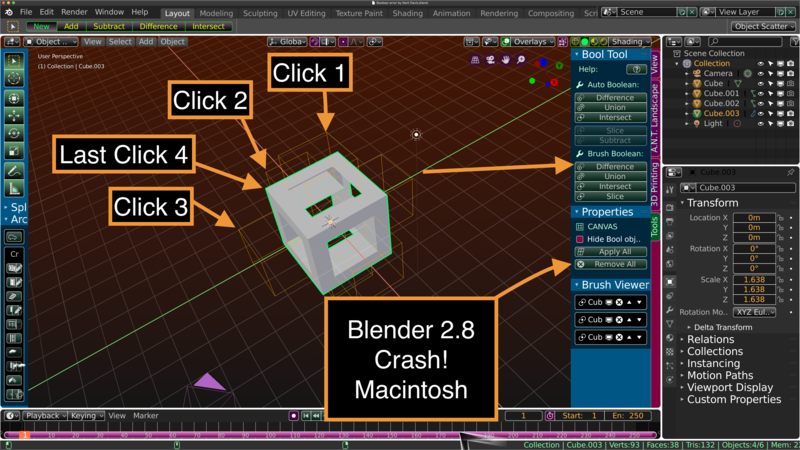 Blender 2.80 (January 20, 2019) inspect. . . . there is no crash (Remove all) button. When I click (Remove all) cause error some mess up disappear some object. I agree with you. I inspect again again cause (Remove all) button cause crash just now. Focus on Macintosh. Do not use Windows. Still 'bug' in what sense? It's not a clear to me if you are experiencing an actual crash or that the boolean result is not perfect in some way. Yes but what 'error'? In your original bug report, you mentioned a crash. Are you talking about a crash or the fact that the result is wrong? Both I just inspect over again again I am tell you. 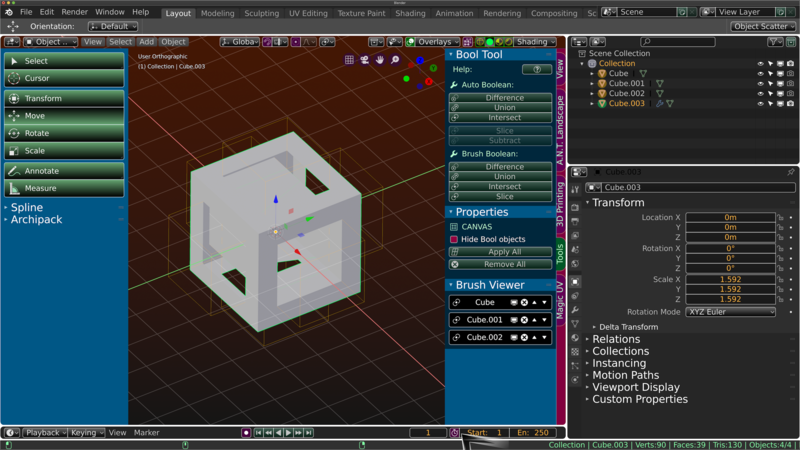 Remove all button within "Brush Boolean" make crash still. If there's a problem with booleans, as I've said before, it's highly unlikely to be Mac-specific. Allright I show you youtube I create just now. I have my bad english. I do use sign language as well and I am full deaf. This again makes me think you are not using the latest version of the addon. Here it works. Do you build yourself? This is the error I'm talking about when I try to automatically create the door and window holes in the Addon Archimesh. Not to create well the cuts of windows and doors by errors in the operations boleanas of difference. Can you show snapshot to show proof?